US Rep. Greg Walden, W7EQI (R-OR), who has championed the Amateur Radio Parity Act (H.R. 1301) as the chair of the Subcommittee on Communications and Technology, will chair the US House Energy and Commerce Committee when the 115th Congress convenes in January. Energy and Commerce is considered one of the most powerful congressional panels on Capitol Hill. US Rep. Greg Walden, W7EQI. Walden defeated the more senior Rep. John Shimkus (R-IL) and Rep. Joe Barton (R-TX) to succeed Rep. Fred Upton (R-MI), who is stepping down from the chairmanship because of term limits. Members of the House GOP Steering Committee elected Walden on December 1 in a closed-door meeting. 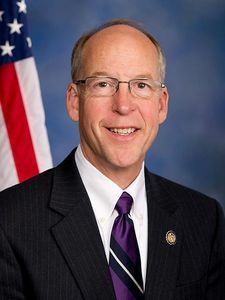 Walden, who represents Oregon's 2nd congressional district, gained favor within the Republican Party after serving two terms as head of the National Republican Congressional Committee. The nine-term Oregon lawmaker had campaigned around the country with House Speaker Paul Ryan (R-WI) during the run-up to the November election, and Walden's selection to head Energy and Commerce over a more senior colleague is being considered recognition of his role in the GOP's election successes. During a Capitol Hill hearing last January, Walden, a cosponsor of H.R. 1301, called the measure "a commonsense bill" and urged his colleagues to support reporting the bill favorably to the full committee. In July, Walden had recommended the amended version of the bill to his colleagues as "a good balance." The Amateur Radio Parity Act bill has been awaiting action in the US Senate. ARRL is moving to a new digital publishing platform! The January 2017 digital edition of QST will be the first produced using PageSuite. ARRL Publications Manager Steve Ford, WB8IMY, said the transition from the current Nxtbook platform to PageSuite not only will improve members' reading experience, it will be more convenient. "PageSuite provides a sleek, modern design that runs on desktop browsers, mobile browsers, and within apps for mobile devices," Ford said. "PageSuite does not require Flash but uses HTML5 instead. This alleviates many security concerns and makes the magazine more broadly compatible." New QST issues, beginning with the January 2017 edition, will take up less space on mobile devices, speeding up download time. Added features include digital bookmarks to save a page and pick up right where you left off, and a clipping tool to save or share important passages as JPEG files. Video files will be hosted on YouTube in high resolution. The new application is compatible with Android devices, iOS devices -- including iPhones, iPod touches, and iPads -- and will be newly available to Kindle Fire. These apps will receive regular, quick updates in order to keep the application running smoothly. A sample of the digital edition of QST produced using the PageSuite platform (click for larger image). Ford said the link to the digital edition of the monthly journal will remain in the same spot on the QST website, and members will continue to be notified of its release via e-mail. ARRL has compiled a "how-to" guide to help members navigate PageSuite, which will be available on the QST web page on the day the January digital edition is announced. The announcement concerning the availability of the January issue of QST in the new desktop/laptop version, the how-to guide, and the new digital QST apps, will be forthcoming. Members can use the online digital QST feedback form to comment on the new platform when it is available. To ease the transition, Nxtbook applications will continue to function on iOS and Android devices until January 1. The FCC has affirmed a $23,000 penalty against Daniel Delise of Astoria, New York, for operating without an Amateur Radio license on 147.96 MHz and for transmitting a false officer-in-distress call on a New York City Police Department (NYPD) radio channel. The FCC's December 5 Forfeiture Order follows its August 31 Notice of Apparent Liability for Forfeiture (NAL), which detailed a history of complaints and alleged illegal radio operation by Delise dating to 2012. "The penalty represents the full amount proposed in the Notice of Apparent Liability for Forfeiture, and is based on the full base forfeiture amount as well as an upward adjustment reflecting Mr. Delise's decision to continue his misconduct after being warned that his actions violated the Communications Act and the Commission's rules," the FCC Forfeiture Order said. The FCC said Delise's response to the NAL offered "no reason to cancel, withdraw, or reduce the proposed penalty." Last summer, ARRL Hudson Division Director Mike Lisenco, N2YBB, credited the intervention of New York Rep. Peter King with getting the case "off the back burner and up to the front of the line." Lisenco and ARRL General Counsel Chris Imlay, W3KD, met with the Republican congressman in January to discuss ongoing interference issues in the Greater New York City/Long Island area. King subsequently wrote FCC Chairman Tom Wheeler to urge "timely and visible enforcement." The September 15 response to the NAL did not deny that Delise violated the Communications Act and FCC rules but argued that the FCC should reduce or cancel the fine because he is currently incarcerated and has no income or assets. The FCC turned away that argument, saying that Delise did not provide any documentation to substantiate his claim of inability to pay. Last April, the FCC Enforcement Bureau issued a Notice of Unlicensed Operation, after determining that Delise was transmitting on 147.96 MHz, a repeater input. Not long after, the NYPD informed an FCC field agent that police had taken Delise into custody for "sending out false radio transmissions" over the NYPD radio system and for possessing radios capable of operating on NYPD frequencies, in violation of state law. Delise, who could have been fined more than $140,000, has 30 days to pay the fine. He's now in prison as a result of the false police call and guilty pleas to other charges. "Yagi Antennas" is the topic of the latest (December 1) episode of the "ARRL The Doctor is In" podcast. Listen...and learn! If you've never listened to a podcast before, download our beginner's guide. Next time: "Antenna System Troubleshooting." With 3 weeks to go until the end of ARRL's National Parks on the Air (NPOTA) program, Activators continue to operate from qualified NPS sites in record numbers. The contact count stands at more than 953,100, an increase of nearly 40,000 since December 1. There are NPOTA activations every day -- plenty of opportunities to work stations, increase your NPOTA totals as a Chaser, and contribute to the goal of #1MillionQSOs. Thirty-eight activations are scheduled for the week of December 8-15, including Saint Paul's Church National Historical Site in New York, and Franklin Delano Roosevelt National Memorial in Washington, DC. Details about these and other upcoming activations can be found on the NPOTA Activations calendar. One of the more popular annual operating events -- the ARRL 10 Meter Contest -- is this weekend, December 10-11, beginning at 0000 UTC on Saturday (Friday evening in US time zones) and winding up 48 hours later at 2359 UTC on Sunday. The object is simple: Exchange contact information with as many stations as possible on 10 meters. The ARRL 10 Meter Contest is open to all radio amateurs, because Technician licensees have access to the band. More contest newbies are active in the 10 Meter Contest than in any other event, and it's a good time to get acquainted with contesting techniques too. Participants submitting logs for the ARRL 10 Meter Contest are urged to take advantage of the new web upload app. This app makes it easy to submit a Cabrillo-formatted log, plus it makes sure the log is properly formatted before it's accepted. The article, "Online Log Upload for ARRL Contests," on page 82 of the November issue of QST, explains how to use the app. 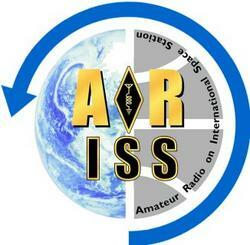 A wide range of entry categories is available for this event, and you can operate CW, SSB, or both. Stations in the US and Canada send a signal report and state or province. Alaska and Hawaii count as states; this is also one contest where the District of Columbia (DC) also counts as a multiplier. DX stations -- including KP2, KP4, etc. -- send a signal report and a sequential serial number starting with 001. Stations in Mexico transmit a signal report and state. Maritime mobile stations send a signal report and their ITU region (R1, R2, or R3). In this contest, multipliers count twice -- once on phone and once on CW -- so there's an extra incentive to give both modes a try, even if you're a CW beginner! No matter how many -- or few -- contacts you make, submitting a log helps to improve the quality of log checking, and you might even find yourself in line for a certificate! If you're lucky, you could take a shot at one of the contest records. Post contest comments and photos of you and your station to the ARRL Soapbox page. 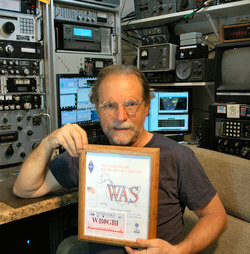 Your story could be included in the ARRL 10 Meter Contest results article in QST. Read more. An Amateur Radio special event on December 11 will commemorate the 95th anniversary of the first transatlantic shortwave reception between Greenwich, Connecticut, and Ardrossan, Scotland. ARRL, the Radio Society of Great Britain (RSGB), and the Radio Club of America (RCA) are partnering in sponsoring the activity. The Greenwich Historical Society will also participate. ARRL's "Successful Overseas Listener" Paul Godley, 2ZE, returned to the US "a conquering hero," QST said in 1922. On December 11, 1921, a radio signal transmitted from the location of 1BCG in Connecticut, was heard in Scotland by Paul Godley, 2ZE, during the second ARRL transatlantic tests. The special event will use N1BCG, the call sign of Clark Burgard of Greenwich, a radio history buff who was instrumental in making arrangements for the event. The N1BCG special event, which will be set up at a school near the original 1BCG site, will begin on Sunday, December 11, at 1200 and conclude at 0300 UTC on December 12. Operation will be on AM on 75 and 40 meters; CW and SSB on 40 meters, CW on 30 meters, and CW and SSB on 20 and 17 meters. Approximate frequencies are 3.880 (AM), 7.290 (AM), 7.235 (SSB), 7.040 (CW), 10.112 (CW), 14.280 (SSB), 14.040 (CW), 18.125 (SSB), and 18.088 MHz CW. The event will include an attempt at a two-way contact between N1BCG and GB2ZE in Ardrossan. Fifty students in Dominica were introduced to ham radio on November 23, in the form of a simulated emergency drill conducted via the virtual Amateur Radio platform HamSphere. W1AW at ARRL Headquarters monitored the exercise. HamSphere is a virtual Amateur Radio transceiver, available for iOS and Android devices. Under supervision, selected youth teams competed for speed and accuracy in a hurricane emergency communication drill, dubbed "Haminica 2016," while becoming familiar with this virtual version of Amateur Radio. Brian Machesney, K1LI/J75Y (left), who helped to organize "Haminica 2016," works with some students during the exercise. 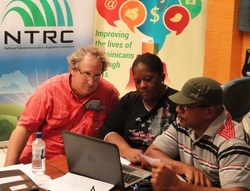 Sponsoring the project was Dominica's National Telecommunication Regulatory Commission (NTRC), and NTRC Executive Director Craig Nesty and Engineer George James, J73GJ, were on hand for the exercise. ARRL Emergency Preparedness Manager Mike Corey, KI1U, observed "Haminica 2016" at W1AW using the HamSphere 3.0 platform. Well-known DXer Martti Laine, OH2BH -- an enthusiastic HamSphere supporter -- and Brian Machesney, K1LI/J75Y, organized "Haminica 2016" and helped to conduct the Dominica exercise. While in Dominica, Laine celebrated his 70th birthday on the air as J70BH. Time is running short to contribute to ARRL from your Individual Retirement Account (IRA). The federal government has now made permanent the ability for those age 70-1/2 or older to contribute up to $100,000 per year from an IRA directly to qualifying charities without having first to declare the donation as income. This means you can, for example, donate your annual required minimum distribution (RMD) to ARRL without increasing your income for tax purposes. Depending on your personal tax situation, donating directly from your IRA to ARRL could have more tax advantages for you than a direct personal donation. Most custodians need a week or two to complete the transaction, so contact your IRA custodian as soon as possible! Here's how it works: Contact the custodian of your IRA plan and instruct the custodian to make a donation from your IRA directly to ARRL. Provide the plan custodian with ARRL's federal tax ID number 06-6000004 and legal name and address -- American Radio Relay League Inc., 225 Main St., Newington, CT 06111-1494. It is important that the check from the custodian is made payable directly to ARRL. ARRL appreciates contributions of any size from your IRA. The custodian of your IRA then will send you an IRS Form 1099 showing that you, as the owner of the IRA, did not receive the plan distribution for your personal use. Most fund custodians will ask you to complete a direct donation form and will mail the plan distribution check directly to ARRL. For more information, contact the ARRL Development Office, (860) 594-0348. The Development Office is happy to help. ARRL strongly encourages individuals interested in supporting the League through an IRA distribution to consult with their attorney, tax/financial advisor, or accountant to determine the tax, or other, consequences of making such a gift. American Radio Relay League Inc. is an IRS-designated 501(c)(3) organization. The ARRL Foundation Board of Directors recently approved two new scholarships. The Helen Laughlin AM Mode Memorial Scholarship -- a scholarship intended for women Amateur Radio operators -- is funded through the generosity of the Laughlin-Beers Foundation and is intended exclusively for educational use -- to provide assistance with the costs of tuition, room, board, books, and/or other fees essential to the advanced education of the recipient. Applicants must be enrolled in an accredited 4-year college or university, and hold a General or higher Amateur Radio license. It is suggested that the applicant have made a contact in AM mode, but this is not a requirement. Preference is given to Texas residents, but if no qualified applicant is identified, preference will be given to residents of Arkansas. If no qualified applicant is identified there, preference will be given to applicants residing in the ARRL West Gulf or Delta Divisions -- the states of Texas, Oklahoma, Arkansas, Louisiana, Mississippi, and Tennessee. If no women qualify, then the award will go to a qualifying male applicant. The scholarship award will be $1,000 annually, with the first scholarship granted in 2017. The Atlanta Radio Club Scholarship is funded through the generosity of the Atlanta Radio Club, and is intended exclusively for educational use -- to provide assistance with the costs of tuition, room, board, books, and/or other fees essential to the advanced education of the recipient. Applicants must reside in Georgia, be between 17 and 25 years old at the time of the award, attend an accredited 4-year college or university, or graduate program, and hold a Technician or higher Amateur Radio license. The scholarship award will be $500 annually, with the first scholarship awarded in 2017. One scholarship is to be awarded per year. In the case of all ARRL Foundation-administered scholarships, the Foundation shall determine the recipients of the award to be academically superior and the best among the scholarship applicants. Applicants for both scholarships must be US citizens. 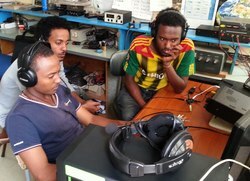 The ARRL Foundation is currently accepting applications from eligible radio amateurs for more than 80 scholarships ranging from $500 to $5,000, which will be awarded in 2017. More information is on the ARRL Foundation web page. Applications for the 2017 scholarship process must be received by 11:59 PM Eastern Standard Time on January 31, 2017. As in past years, Santa Claus will be spreading the spirit of Christmas via Amateur Radio, but this year the elves are taking over the show. Twelve elves are operating OF9X ("Old-Father-Nine-Christmas") for the entire month of December, each with a 3-letter identification. Radio amateurs can work OF9X on all bands and modes, from 630 meters (where authorized) to 70 centimeters. Each contact is worth 1 point for stations in Europe and 2 points for stations outside Europe. The elves provide the multiplier -- up to 12 -- to determine your final score. Only contacts made in 2016 are valid. Logs are available on ClubLog, and the log will indicate which elf was worked, in case you miss the ID. Certified reindeer driver and Laplander Pertti "Pete" Koivula, OH2BEE/OH9U, is giving Santa a face and voice this year. Koivula is a well-known Finnish actor. The elves on the air and their 3-letter IDs are Arto, OH2KW (ART); Arttu, OH2FB (ATU); Jyri, OH2KM (JYR); Martti, OH2BH (MAR); Niko, OH2GEK (NIK); Pauli, OH5BQ (PAU); Pekka, OH2TA (PEK); Pertti, OH2BEE (PER); Raimo, OH2BCI (RAI); Tom, OH6VDA (TOM); Pertti, OH2PM (SIM), and Erik, OH2LAK (LAK). Three awards are available: SKC Award (Santa is King of Christmas) -- at least 50 points; WMC Award (Warm and Memorable Christmas) -- at least 35 points, and RNS Award (Remember those Red Nose Elves) -- at least 20 points. E-mail your log and your point calculation by January 5, 2017. Full-color award certificates will be sent via return mail. Include the name to be printed on the award and your e-mail address. High-scoring operators and their children on each continent will be offered an opportunity to speak with Santa during Christmas week. Details will be available on the OF9X QRZ.com profile page. Read more. China Plans Lunar-Orbiting Amateur Radio Satellites: China's Harbin Institute of Technology is developing a pair of lunar-orbiting satellites -- DSLWP-A1 and A2. According to Mingchuan Wei, BG2BHC, DSLWP is "a lunar formation-flying mission for low-frequency radio astronomy, Amateur Radio, and education," consisting of two microsatellites. Launch is planned in June 2018, to place the pair into a 200 × 9,000 kilometer (approximately 124 × 5,580 mile) lunar orbit. The Amateur Radio payload on DSLWP-A1 will provide telecommand uplink and telemetry and a digital image downlink. Open telecommand is also designed to allow radio amateurs to send commands to take and download images. The satellites are 50 × 50 × 40 centimeters, with a mass of about 45 kilograms and are three-axis stabilized, with two linear polarization antennas. The team has proposed downlinks for DSLWP-A1 on 435.425 MHz and 436.425 MHz, and downlinks for DSLWP-A2 on 435.400 MHz and 436.400 MHz, using GMSK with concatenated codes or JT65B. Harbin Institute of Technology also developed the Lilac series of CubeSats. Radio Australia Shortwave Broadcasts to End on January 31: Another prominent shortwave broadcaster is going dark, "The SWLing Post" blog reports. Radio Australia has announced that it will cease its shortwave transmissions on January 31. The station, popular with SWLs, broadcasts in the 31-, 25-, 19-, and 16-meter bands. "The move is in line with the national broadcaster's commitment to dispense with outdated technology and to expand its digital content offerings, including DAB+ digital radio, online and mobile services, together with FM services for international audiences," the Australian Broadcast Corporation (ABC) said in a news release. The ABC said it would put the money saved from ending shortwave broadcasting into other program distribution technology. Ofcom Declines to Act in Nightmare Neighbour Ham Radio Episode: UK telecommunications regulator Ofcom has declined to act on formal complaints about an October 27 episode of the Channel 5 television program Nightmare Neighbour Next Door. That episode focused on 75-year-old Armando Martins, M0PAM, of Kent, whose neighbors had made unsubstantiated claims that RF radiating from his 30-foot vertical antenna was detrimental to their health. The Radio Society of Great Britain (RSGB) weighed in following the airing of the show. Radio amateurs across the UK also complained that the program episode was replete with false claims and pointed out that Ofcom had never found any problems with Martins' station. A radio amateur for more than 60 years, Martins was first licensed as CR6IL in Portuguese West Africa (Angola). Complainants contended that the show was "materially misleading," and thus a breach of the Ofcom Broadcast Code. Tad Cook, K7RA, Seattle, reports: The average daily sunspot number for December 1-7 was 40.9, up 10 points from the previous 7 days. Solar flux has hardly changed, moving from 82.6 to 82.2. The average daily planetary A index dropped from 13.6 to 4.9, and the average mid-latitude A index dipped from 10.3 to 3.4. 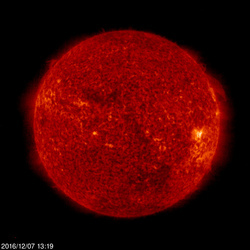 The latest prediction from NOAA and the US Air Force shows solar flux at 75 on December 8-10; 70 on December 11-13; 75 on December 14-15; 78 on December 16-18; 82 on December 19-20; 86 on December 21-27; 84 on December 28-31; 82 on January 1; 80 on January 2-3; 78 on January 4-8; 80 on January 9, and 82 on January 10-15. Their latest projection for Planetary A Index is 20 on December 8-9; 18, 12, and 8 on December 10-12; 5 on December 13-17; 8, 12, 16, and 22 on December 18-21; 30, 12, 10, and 8 on December 22-25; 5 on December 26-31; 8, 5, 12, and 15 on January 1-4; 20, 18, and 12 on January 5-7, and 5 on January 8-13. A summary of the 3-month moving average of observed daily sunspot numbers, from January through November 2016: 55.4, 53.5, 49, 45.3, 43.1, 35.4, 33, 33.5, 40, 39, and 29.6. Monthly average daily sunspot numbers for November were 22.4. This is down from 50.4, 37.4, and 29.1 for August through October. The downward trend in activity is obvious and undeniable. Sunspot numbers for December 1 through 7 were 49, 59, 62, 37, 37, 24, and 18, with a mean of 40.9. 10.7 cm flux was 84.5, 84.4, 84.7, 82.4, 82.7, 79.8, and 77.2, with a mean of 82.2. 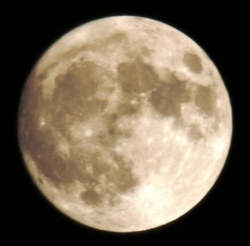 Estimated planetary A indices were 3, 4, 3, 2, 4, 7, and 11, with a mean of 4.9. Estimated mid-latitude A indices were 3, 2, 1, 1, 2, 6, and 9, with a mean of 3.4.